Viva Las Vegas, "Burning Love,"
The following stories and comments have been received within the last few months. As usual, we’ll start with the kind of feedback that motivates any blogger to keep going. I've been an Elvis fan since I was 12 years old (I'm a couple years shy of 30 now) and wanted to drop a line and say I have really found your blog to be one of the most exhaustive and also informative resources available for Elvis fans old and new. In nearly every post I've learned something new or found a new way of thinking about things I may have known of for years. 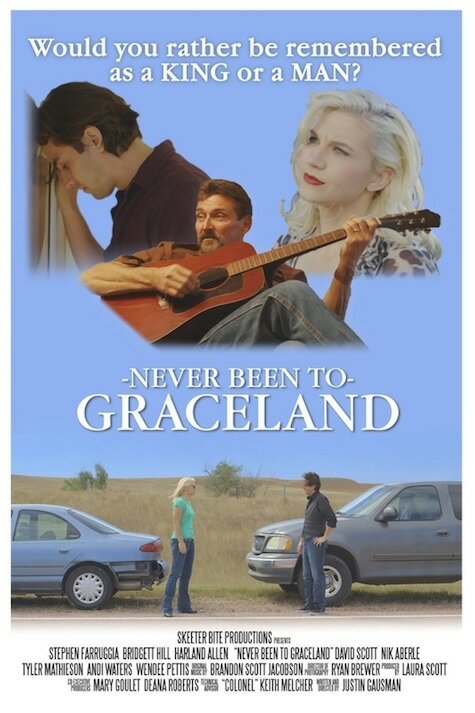 I am actually working on a short film right now called "Never Been to Graceland." It's about Elvis fans in search of an alleged long-lost recording. I'm not looking for a plug; I'm curious though if you would be interested in watching an early cut of the film and offering your feedback. If you think it's worthwhile to share, feel free, if not of course not, but more than anything I would trust your opinion as a scholar and critic. First of all, thanks for the kind words about Elvis History Blog. How can I ever stop as long as I get feedback like that?! I checked out your film and found it very interesting and quite different from any Elvis film I’ve ever seen. It challenges the viewer to look at Elvis from several different perspectives. I can’t wait to see the final product when it comes out in August. I'm watching Viva Las Vegas for the first time since seeing it with my Mom at the Gordon Theater in Baton Rouge, Louisiana, in 1964 or 65. I was about 8 years old. I always thought there had to be a romance between Elvis and Ann-Margret (I had a HUGE crush on her when I was a kid) so I went on Google and came across your page. I just wanted to let you know what a great thing you are doing. The stories you have are truly the work of a great Elvis fan and I wanted to say thank you. I'm 59 years young and I truly miss the times my Mom would take me with her to the many Elvis movies. My only regret is I didn't go with her the three times she went to see Elvis in concert. She wanted me to come each time, but being a teenager, I was too "cool" to go with my Mom to see "Elvis Presley.” What a dumb kid I was! 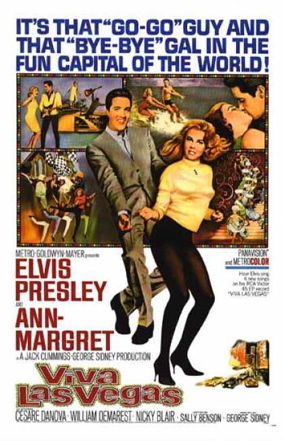 Like you, and many other Elvis fans, I’m sure, I have very vivid memories of seeing Elvis’s movies in theaters. Viva Las Vegas was a special one, although I didn’t realize that when I first saw it at the age of 15 in 1964. It was about at the midpoint of Elvis’s Hollywood career, and his films would begin to deteriorate after that. I still went to see them all … and enjoyed them! It is unfortunate that you passed on the chance to see Elvis live on stage. Whether a person liked or disliked Elvis, seeing him perform is something everyone should have done, given the opportunity. Each show was a historical event that will never happen again. My question is, “How is Elvis Presley influencing people and celebrities in today’s time?" Can you give a few instances? Honestly, I don't think Elvis has much "influence" these days in musical trends. Just as Elvis changed the direction of pop music in the fifties, others have taken the lead in influencing pop music’s unpredictable course over the years since Elvis. Still, I think he is very much "respected" by many entertainers today for his contributions in the early days of rock 'n' roll and sixties pop music. I was reading your article on "Return to Sender" and it being the 24th single in a row to make the top 5. I understand not counting the 6 singles that made up the first LP in September 1956, but that same month the “Shake, Rattle and Roll”/“Lawdy Miss Clawdy” single was released. It was not on the debut LP (but should have been). This didn't make the top 5. Doesn't that interrupt the streak of 25 not 24 singles? Still an amazing achievement. I also must disagree with your accounting of 14 #1 singles. I'm in agreement with Joel Whitburn that it's 18, no matter how much Billboard changes they're criteria. BTW, did you read Neal Umphred's article on Gold/Platinum and how the changing RIAA criteria has robbed Elvis and all artists of the early rock ’n’ roll era of hundreds of thousands of certified sales by the "rounding down" they do? Regarding the single release of “Shake, Rattle and Roll”/“Lawdy Miss Clawdy,” you are correct that it was not on Elvis's first LP, but both songs had been previously released on an Extended Play album. 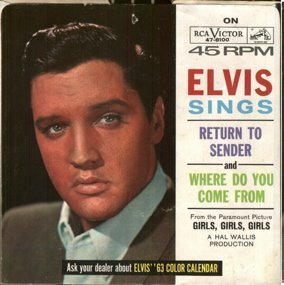 That EP was released on June 6, 1956, whereas the single was part of the RCA dump of previously released material on seven Presley singles nearly four months later on August 31, 1956. So I don't believe the SRR/LMC single should be considered as part of RCA's regularly scheduled single releases of new Presley recordings in 1956. As for the number of Presley's #1 singles, I also agree with Joel Whitburn! In his "Top Pop Recordings" book published in 1972, he used only Top 100/Hot 100 data, which credits Elvis with 14 #1 records. Later on, for whatever reason, he decided to grant #1 status to any record that topped one of three separate charts in the pre-Hot 100 era. It makes no sense to me, for instance, to put a #1 ranking overall on a record that might have only topped the Juke Box chart. The Top 100 was clearly the predecessor of the Hot 100, so that's the baseline for me. That said, I don't get concerned about how many #1 records Elvis had or how many records he sold or how many gold or platinum records he gets credit for. The recording industry has changed dramatically over time. Does it really mean anything that Mariah Carey has more number ones than Elvis? He is clearly the greatest entertainer of his era. Isn't that enough for Elvis fans to know? Regarding your recent essay on "Burning Love," calling it his last "hit" record, I'll have to disagree somewhat. Besides the many major hits Elvis still had on the adult contemporary and country charts in the last five years of his life, he had plenty of singles reach the top 30 on the Billboard Hot 100 pop chart. He reached No. 14 with “Promised Land” in December 1974. 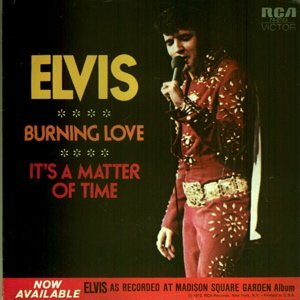 While they were nowhere near the smash that "Burning Love" was (It stayed at No. 2 with a bullet for several weeks, unable to overcome Berry's novelty tune), but they absolutely were hits that sold 45s and generated airplay. Perhaps changing the title and reference to "last major/big hit." You make a good point. I tend to judge Elvis’s later records by the standard set by his earlier singles. Elvis had 38 singles that reached the top 10 of Billboard’s Top 100/Hot 100 charts. That’s more than anyone in the rock era of the fifties and sixties. (The Beatles had 31 in the top 10.) To me, a “hit” is a record that breaks into the top 10 for at least one week. That doesn’t mean all of Elvis’s other records were failures. In addition to his top 10 “hits,” Elvis placed 23 more in the top 20 and 41 more in the top 40. All of those records were “successful,” just not at the level to be called “hits” in my opinion. When I was 31, I was diagnosed as a manic-depressive. My doctor said what got me through everything was my love for Elvis. The fact I could go see his movies and hear his music helped me escape reality. He told me that’s what kept me sane. I later married Covie Garner, who sang with Blackwood Brothers and drove the bus. It was beyond the happiest I ever was. He loved Elvis and could sing like him and never tried to insult Elvis. He understood my love for Elvis for 60 years. I am now 67. What a lovely tribute to the healing power of Elvis. While certainly not as dramatic as your experience, many of us who were Elvis fans in those early years can recall closing the door to the world around us and listening to Elvis’s music as it calmed the adolescent storm inside us. Of course, I’m sure Elvis never imagined he had such a soothing effect, nor was he ever given credit for it.